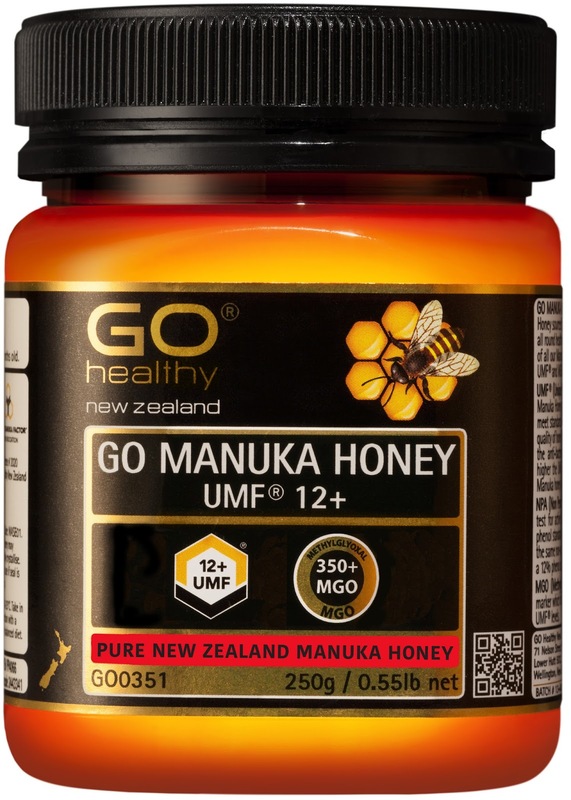 Manuka Honey UMF® is the purest antibacterial healing agent known to man and it tastes delicious! Manuka Honey is one of the most famous honeys in the world, having been around for thousands of years and containing incredibly high antioxidant properties. Because of its sizeable isolation from the rest of the world and its island biogeography, New Zealand has extraordinary flora and fauna that is unique to our beautiful country. About 80 per cent of the flora occurs only in New Zealand, one being the Manuka tree (Leptospermum scoparium) - an evergreen tree with intensely scented flowers that bloom in summer. Needless to say bees love them and play a large role in helping craft a type of honey that is in demand all over the world. Quality manuka honey bears the trademark UMF® = Unique Manuka Factor. This is a quality mark that represents the testing of the Non-Peroxide Activity in honey using various test methods and is recognizable and verifiable all over the world. Some manuka honey could be said to be a true "wonder of nature" as some (but not all) of the manuka honey available has a healing ability or anti bacterial "activity" that is truly exceptional. Not only does this special honey contain Hydrogen Peroxide activity in good stable levels, but also "non peroxide" activity additional to and above or stronger than the Hydrogen Peroxide. Recent research indicates that this additional non-peroxide activity is a substance called MethylGlyoxal, which has very powerful germ killing abilities. Why it naturally occurs in some but not all manuka honey at extraordinarily high levels (up to 200 times stronger than all other honeys around the world) is not yet fully understood, but it’s so good at healing infection that in many hospitals around the world now, Active Manuka Honey is a key healing option. It is used when nothing else works for treatment of antibiotic resistant MRSA super bugs, Bed Sores and other external ulcerative conditions, Helicobactor Pylori (stomach ulcer causing bacteria), E Coli, Staphylococcus Aureus (the most common cause of wound infection) and Streptococcus Pyogenes (stubborn, often antibiotic resistant bacteria which inflame and cause sore throats). It is very healing externally on the skin for conditions such as burns, wounds, dermatitis, eczema and abscesses, and has even been known to decrease the duration of bacterial diarrhoea. Which brings me to GO Healthy’s GO Manuka Honey UMF 8+, 12+, 16+ and 20+, which are on the shelves now and all contain 100 per cent pure active Manuka Honey sourced from New Zealand. Each product guarantees premium UMF (Unique Manuka Factor) levels and is charged with high levels of antioxidant, anti-bacterial and skin healing properties to offer nature’s gold at its best. In 1981, Dr Peter Molan (MBE), Associate Professor in Biochemistry at Waikato University, confirmed that some strains of the New Zealand Manuka bush honey contain a stable and powerful non-peroxide antibacterial activity not found in any other variety of honey. 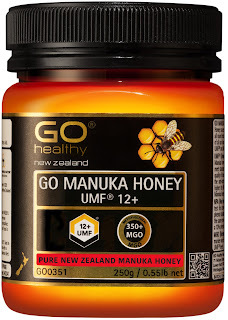 Hence, what sets Manuka Honey apart as one of nature’s true wonder foods is the aforementioned UMF (Unique Manuka Factor) Honey Association Logo, which features on every GO Healthy GO Manuka Honey product. This UMF quality trademark is carefully protected and measures anti-bacteria levels; UMF licence holders must meet strict testing and auditing standards to make the mark. The higher the UMF number, the more potent and pure the Manuka Honey is, ranging from UMF 5+ through to the strongest strain of UMF 20+. So this winter is the perfect time add some Manuka Honey into your life in order to ward off what ails you or is threatening to ail you, and I for one and smack bang into a jar right now as I have a cold bearing down that I just won’t let win!